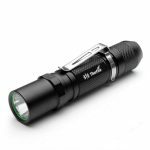 the BLF Q8 – available again! the BLF Q8 is ready to order – $46.50 code available! ThorFire TK4A XP-L 1100Lumens 6Modes High Power LED Flashlight AA Up to 1100 lumens maximum output, ThorFire TK4A is the most powerful AA flashlight. Multi Mode selection and Comfortable appearance design make the light simple to operate for everyone.